Can you help our cats by donating some cat food? We are always in need of donations of cat food to feed the cats staying in our cat pens as well as several feral colonies in our area. We get a small allocation of cat food from our Head Office but we have to supplement this by purchasing food from money we raise or from generous donations from the public. If you would like to help feed the cats in our care you can either donate food online or take food to one of our drop off points. Details of how you can make donations can be found below. We appreciate that not everyone has the time or means to get to one of our drop off points, so we have set up an Amazon Wish list which allows people to make a donation online. 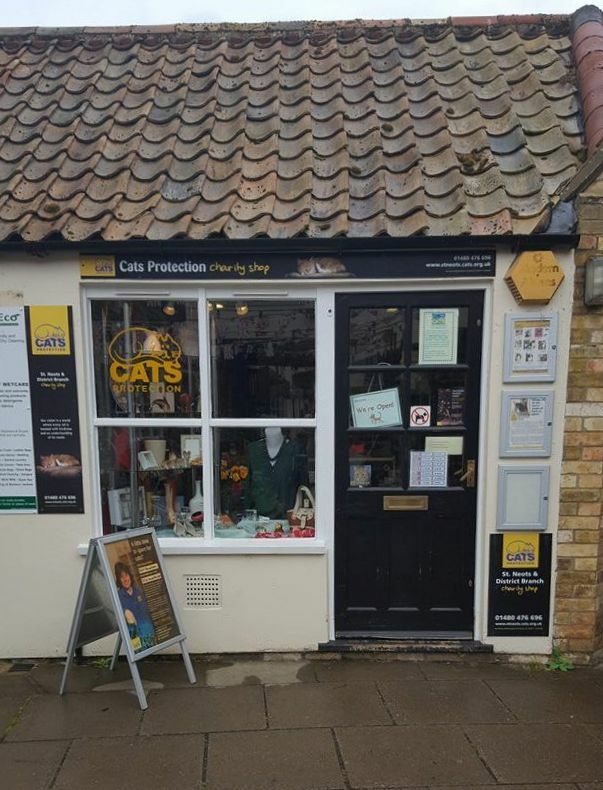 To make a donation from our wish list, click on the link here, choose the food you’d like to donate, add it to your basket and as you check out, select St Neots Cats Protection as your delivery address. The food will then be delivered directly to us and distributed to the cats in our care. 9.30am - 4.30pm Monday to Saturday. Pets at Home have a food collection box located near the vets reception upstairs. We'd like to say a huge thank you to everyone who has donated cat food to the branch.